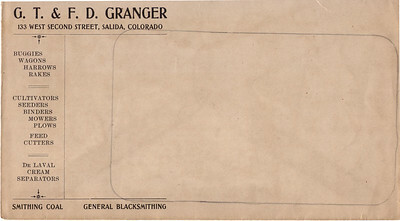 Granger Blacksmithing Shop in Salida, Colorado in 1913. 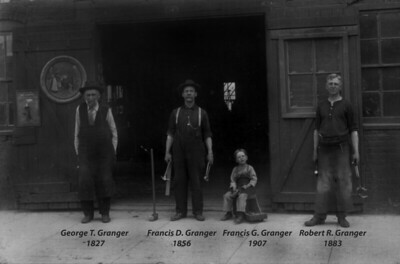 The little boy on the stool is my Grandfather, Great Grandfather on his left, Great-Great Grandfather on his right, and my Great-Great-Great Grandfather Granger on the far left. 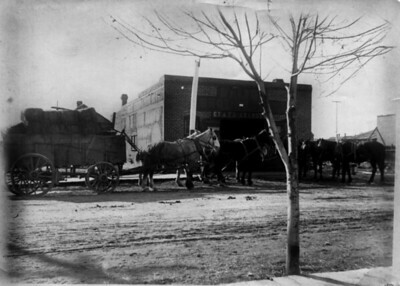 George T. Granger was born in 1827 and served in the Civil War as a blacksmith in Washington DC from Mid 1863 to the end of the war. 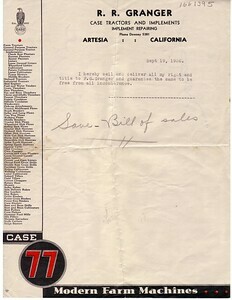 I will be posting his civil war diary soon which talks about the events of the day. 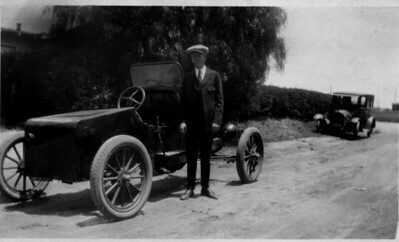 My Grandfather Francis Grimsaw Granger about 1924 in Long Beach, CA. 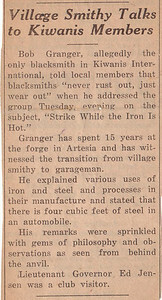 What does a teenage blacksmith do when he wants a car? Build one out of salvaged parts! 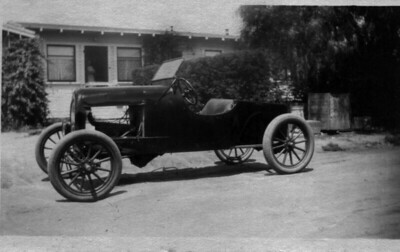 Probably one of the first hot rods ever built, who knows how many cars were combined to build this little speedster. 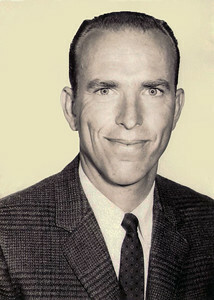 Dressed in his finest clothes, he looks pretty proud of his ride. He got a ticket from the Orange Police department for speeding in 1925. 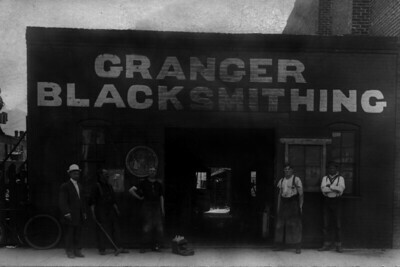 Granger Blacksmithing Shop in Salida, Colorado in late 1800's. 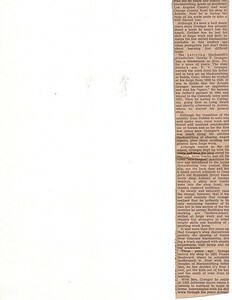 Part 2 of retirement article. 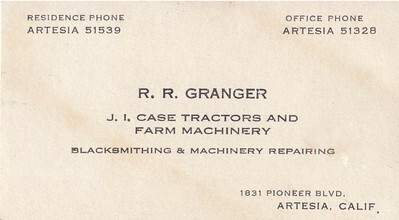 Great Grandfather Robert Reginald Granger's business card. 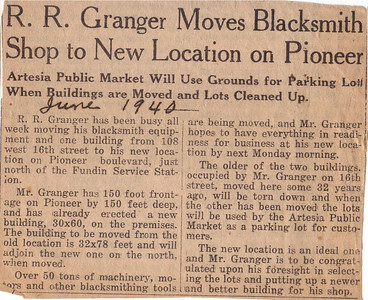 Article about my Great-Great Grandfather retiring from the Blacksmithing business. He was called the "last of the village smithy's"
Granger Blacksmithing Artesia California letterhead.